​It's been a few years since there was a release from Kane and the wait was worth it. This album showcases some great music that also includes some great guests including the shock legend Alice Cooper, Alissa White-Gluz, and Katt Franich. This is a pretty smooth record overall. 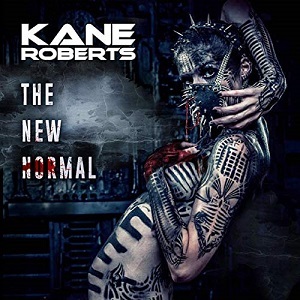 Kane shows both his vocals and guitar work are both still in fine form. This record has been in my player quite a bit recently and is a really solid listen throughout. There is a pretty cool new video up on Youtube for the track 'Beginning of the End' which features 2 of the 3 mentioned vocalists. The different vocal styles coming together really make this track, especially the reunion of Alice and Kane. Some of my favorite tracks include 'Beginning of the End', 'Forever Out of Place', 'The Lion's Share' and 'Wrong'. Really happy to see new material from Roberts. Recommended! ​Tony Harnell is one of my favorite vocalists. I usually really dig anything that he offers his vocals. Starbreaker definitely shows off his talent. The chemistry between Magnus Karlsson and Tony Harnell is top notch and the music on this album is very well crafted. There are some decent heavier tracks such as 'Pure Evil' which opens the album and the Judas Priest cover of 'Starbreaker' which closes the album. Everything in between is either melodic or more mid tempo loaded with depth and atmosphere. This is a very consistent album in terms of quality. For those going in thinking TNT, this is different. The only comparison is obviously Harnell, but the music has a different feel to it. Still very traditional and quite impressive album. I would definitely be content to see Tony spend his efforts in this capacity. This is a very tight and worthy rock band! Easy recommend! 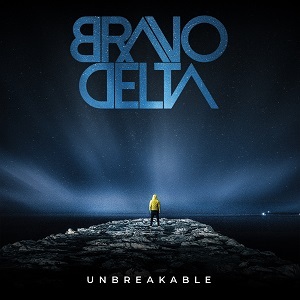 ​Coming to you from Las Vegas is modern hard rockers Bravo Delta. Even though the band formed in 2011, they are offering up their debut album in 2019. Timing is everything and I think their timing is probably pretty good. Fans who dig more modern acts such as fellow Vegas rockers Adelita's Way or even Nothing More will probably enjoy this band's sound. The debut was written in the last three years and does feel confident to me. There is something about debut albums. The bands typically spend a lot of time writing them and the results usually are very good. 'Unbreakable' is no exception. You can tell there was a decent amount of time spent with this and the songs should have great appeal. The band have released two independent e.p. 's to date with 'Unbreakable' being the very first full length album. Check out the video for the title track. Solid album! 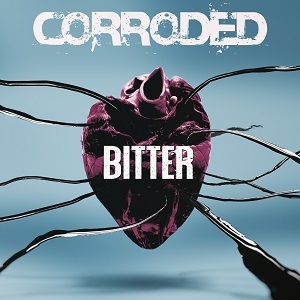 ​My intro to Sweden based Corroded was the previous album 'Defcon Zero'. I like this new album 'Bitter even more. The band will appeal to a wide range of metal fans and have a modern heavy sound. The band upon release date released The Bitter Trilogy of videos on Youtube and all are connected by a story. Watch in order of 'Cross', 'Burn', and then 'Breathing'. There is a lot of humor injected in the storyline and between the music and the mini movie elements, it's well done and fun to watch. The album has a cool vibe to it and the band is definitely seasoned at this point. We see lots of promos here and some equate to purchases in physical format. This is one of those for me. Gotta have the CD in hand on albums like this. The rest of the album is equally as good as the trilogy tracks. It is a pretty complete album that has a lot of headbanging moments, but also offers up a decent amount of melody here and there. One of my early favorites of 2019! ​Back in the day I was a pretty big fan of this band. I remember the mohawk and the earlier videos that made Headbanger's Ball. I just liked the feel the band had and there was an energy there that was a bit different than other bands in the scene. 'Born to Fly' was a bit of a surprise to me. It had been some time between releases and I didn't realize the band was in for another go. I absolutely welcome it. 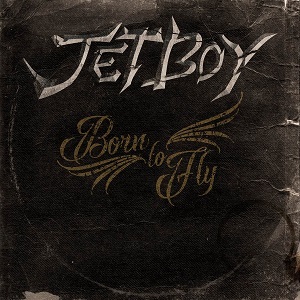 The new record is unmistakably Jetboy in sound. That raw feel to the music is still there as is the recognizable groove the band has always had. If you haven't checked them out, you really should. At least check out some videos. 'Brokenhearted Daydream' from the new album is up on Youtube as are a few of their older videos. The scene to me just doesn't feel right without Jetboy in it. I'm glad to see them putting out more quality rock and roll!